These were done in 1969 and 1970. On rare occasions mistakes do happen. I will do my best to correct them and make things right in any way I can. Also the exception is, If I made a major mistake, wrong lot etc. SCOTT #2695a. Very-Fine Condition & Centering. Mint Never Hinged. Issued 1988. SCOTT #2964a. 5k Circus Trainer Holding Ring For Champagne Cork To Pop Through, by Jiri Sliva. Very Fine Condition & Centering. Mint Never Hinged. Issued 1995. BLOCK OF FOUR. NATURE PROTECTION. 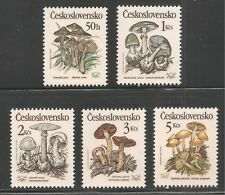 Topic - "50h to 5k-POISONOUS MUSHROOMS". Mushrooms / Fungi. Very-Fine Condition & Centering. Mint Never Hinged. Issued 1989. TOP VALUE. NATURE PROTECTION. FLOWERS BLOCK OF FOUR. Topic - "9k to 14k-PEACE AND FREEDOM". Very-Fine Condition & Centering. Mint Never Hinged. Issued 1995. Rose, Profiles and Butterfly, Profiles. FREE CZECHOSLOVAK FORCES IN WW2. SCOTT #2917a. #2916 14k, Marco Polo and Stylized Animals, Chinese Woman / #2917 14k, Marco Polo and Stylized Animals. Very-Fine Condition & Centering. Mint Never Hinged. Issued 1994. SCOTT #2963a. Very Fine Condition & Centering. Mint Never Hinged. Issued 1995. SCOTT #2690a. Art / Statue. Very-Fine Condition & Centering. Mint Never Hinged. Issued 1988. Topic - "7k to 14k -ENGRAVING OR PAINTINGS". Very Fine Condition & Centering. Mint Never Hinged. Issued 1994. TOP VALUE - FREE CZECHOSLOVAK FORCES IN WW2 - Soldiers (Dunkirk, 1944-45). BLOCK OF FOUR. SCOTT #2690b. Art / Statue. Very-Fine Condition & Centering. Mint Never Hinged. Issued 1988. SCOTT #3104. 11k Mater Dei, 1898 / 13k Pantocrator, 1911. Very-Fine Condition & Centering. Mint Never Hinged. Issued 1999. Art / Paintings. Topic - "30h to 1.60k-BIRDS". Wildlife / Animals / Birds. Very-Fine Condition & Centering. Mint Never Hinged. Issued 1964. 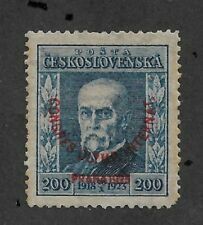 SCOTT #1267-72. Topic - "6k to 10k-COLLECTIONS OF RUDOLF II (1522-1612), PRAGUE EXHIBITION". SCOTT #3015. Art / Paintings. Very-Fine Condition & Centering. Mint Never Hinged. Issued 1997. Topic - "11k-UPU, 120TH ANNIVERSARY". SCOTT #2928. UPU / Birds / Letters / Globe / Earth. Very-Fine Condition & Centering. Mint Never Hinged. Issued 1994. SCOTT #2825. Very Fine Condition & Centering. Mint Never Hinged. Issued 1991. TOP VALUE - MAMMALS. Common long-eared bat. BLOCK OF FOUR. Topic - "14k-LUSCINIA SVECICA - SONG BIRD". SCOTT #2931. Very-Fine Condition & Centering. Mint Never Hinged. Issued 1994. Topic - "8k to 9k-ARCHITECTURE SITES / UNESCO". 12k, Litomysl Castle / 14k, Holy Trinity Column, Olomouc. Buildings / Castle / Statue / Sites. Very-Fine Condition & Centering. Mint Never Hinged. Issued 2002. SCOTT #2970. Topic - "14k -BAROQUE ARCH". SCOTT #2971. Topic - "14k -UNITED NATIONS 50TH ANNIVERSARY". Very Fine Condition & Centering. Mint Never Hinged. Issued 1995. SCOTT #2960. Topic - "9.60k -TRAIN ENTERING TRAIN STATION PRAQUE". First Train From Vienna To Praque, 150th Anniversary. Very Fine Condition & Centering. Mint Never Hinged. Issued 1995. SCOTT #2925. Soccer / Sports / Soccer Ball / Statue of Liberty. Topic - "8k-1994 WORLD CUP SOCCER, U.S.A.". Very-Fine Condition & Centering. Mint Never Hinged. Issued 1994. Very-Fine Condition & Centering. Mint Never Hinged. Issued 1998. King's Ride / Wearing Masks For Carnival. 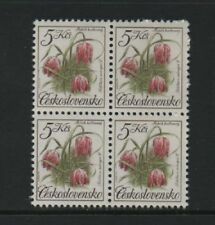 Czechoslovakia #2856 (A1040) VF MNH 1992 22k Discovery Of America, 500th Anniv. SCOTT #2856. Very-Fine Condition & Centering. Mint Never Hinged. Issued 1992. Best regards and Happy Collecting ! You may see a difference of or -, but it usually balances out. On rare occasions mistakes do happen. I will do my best to correct them and make things right in any way I can. CZECH TOWNS. LOVELY SELECTION INCLUDING ALL HIGHER VALUES. AQUARIUM FISH M/SHEET. CZECH REPUBLIC. Topic - "50h to 6k -OLYMPICS". Olympics / Sports / Ski Jumping / Ice Hockey / Basketball / Soccer / Discus / Weight Lifting. Very Fine Condition & Centering. Mint Never Hinged. Issued 1988. Bohemia and Moravia. Topic - "60h 40h / 1.20k 80h -NURSING GERMAN RED CROSS". Very Fine Condition & Centering. Mint Never Hinged - Original Gum. 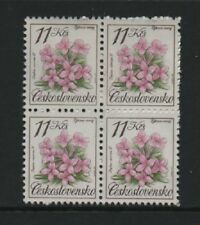 Issued 1942. SCOTT #B13-B14. Topic - "8k to 8k-STORIES AND LEGENDS". Very-Fine Condition & Centering. Mint Never Hinged. Issued 1997. Queen, Knight With Sword, Lion, Snakes / Man Riding In Chariot Drawn By Chickens, King Looking Through Window. "Pinocchio". 13th Biennial Exhibition of Book Illustrations for Children. BLOCK OF FOUR. Topic - "8k to 9k-ARCHITECTURE SITES / UNESCO". Very-Fine Condition & Centering. Mint Never Hinged. Issued 1996. Topic - "30h to 1.60k-VIEWS OF PRAGUE". SCOTT #719. Very-Fine Condition & Centering. Mint Never Hinged. Issued 1955. Topic - "5k-COINCIDENCE BY LADISLAV GUDERNA". SCOTT #2846. Very-Fine Condition & Centering. Mint Never Hinged. Issued 1991. Topic - "7k-TWO MAIDENS BY UTAMARO". SCOTT #2847. Very-Fine Condition & Centering. Mint Never Hinged. Issued 1991. Painting Type Of 1967. We have a few sets of these so the set you receive will vary in cancels. TOP VALUE - BEETLES BLOCK OF FOUR.